Learn with driving instructors who will give you the best chance of passing your driving test first time. Whether you are a complete novice driver getting behind the wheel for the very first time, or a more experienced driver who has already had a number of driving lessons or even if you have a full driving licence but want to top up on your skills and confidence, Adrian´s School of Motoring is the driving school you´re looking for. The school cars are Suzuki Celerio manual (with gears) a wonderfully small and compact car, very easy to drive and really easy to get used to. 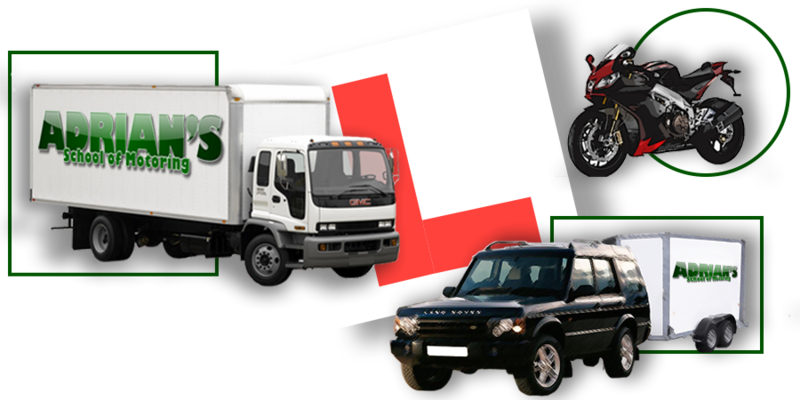 If you need driving lessons in a car (B licence), car and trailer (B+E licence), rigid lorry (C licence) or an artic lorry (EC licence) then give us a call. In addition to the standard driving lessons, we also offer car and trailer/caravan lessons, hazard perception, theory test help and advice, refresher and motorway lessons. Why learn to drive with us? 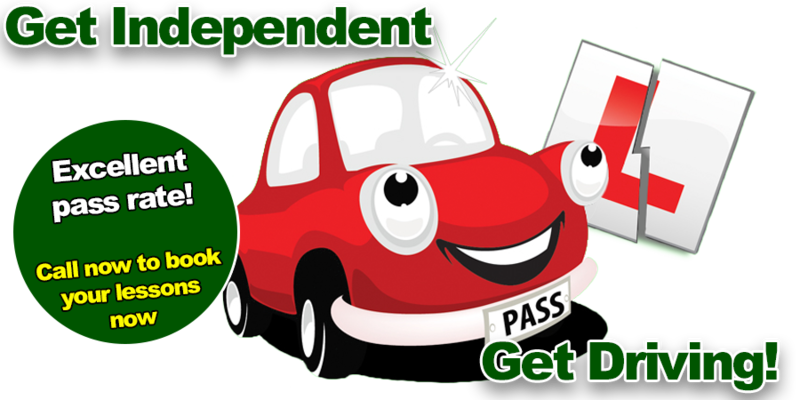 As an independent driving school, run by myself Adrian Marriott, we provide the highest standard of driving lessons tailored to suit the individual learner so you can learn at the best pace to suit you. We teach in a very calm and patient manner which puts even the most nervous learner driver at ease very quickly. We will teach you to drive safely for life, not just to pass your driving test. We can collect you from your workplace, home or meet you at a location convenient to you. Please note lesson time begins at pick up. The Road Safety Education and Training Centre is located at Unit 6 Old Railway Station, Roscrea Road, Birr and is open to anyone wishing to practice the theory test or just to brush up on their skills. Adrian´s School of Motoring will take students through the whole process from understanding the theory behind driving right through to passing their driving test. You can practice the theory test until you are satisfied that you fully understand the theory and therefore will be able to pass the theory test. If you are unsure of anything you can speak to one of our qualified instructors. Also available to view in the Centre will be DVDs on hazard awareness, risk perceptions, dangers of excessive speed and short videos on car maintenance i.e. checking tyre pressure, checking oil and water levels and changing a wheel. All of this is provided free of charge!!! Rather than buying the latest edition of the Official Driving Theory Test book you can borrow it from the Centre for a refundable deposit. When you pass your theory test you will get a voucher for your first driving lesson with Adrian´s School of Motoring! And when you pass your driving test you will get a voucher to pass on to a friend for their first lesson! Have a question on how to deal with a junction or roundabout? Talk it through with one of our qualified instructors using the model roads, roundabout and motorway in the Centre. The Centre is not just about driving - it will also take in cycling proficiency even down to crossing the road as a pedestrian and the difference using hi-viz clothing can make. If you have any questions please feel free to call or text us on 087 744 0913 - we´ll be more than happy to help.